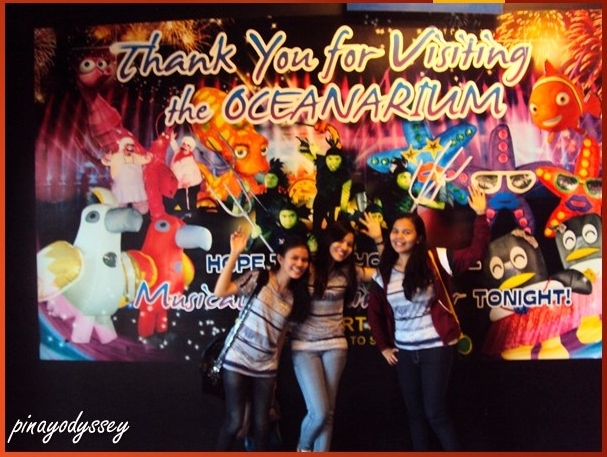 Here’s an entry featuring the first world-class marine theme park in the Philippines: the Manila Ocean Park! Whether you plan for a day-long visit to its aquarium and other attractions or for several days in its aqua-themed hotel, the park is perfect all year round! 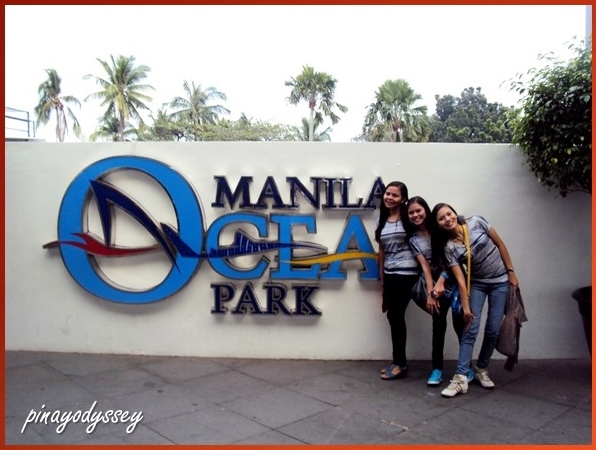 I decided to take my sisters to the park to end 2013 with a fun-filled bonding moment. 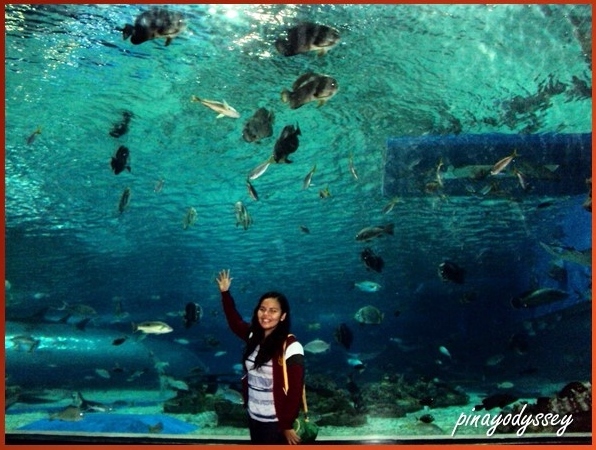 And it was totally not a waste of time, despite the fact that it needs improvement in terms of the facilities and of course, bigger aquariums to fully wow its visitors. 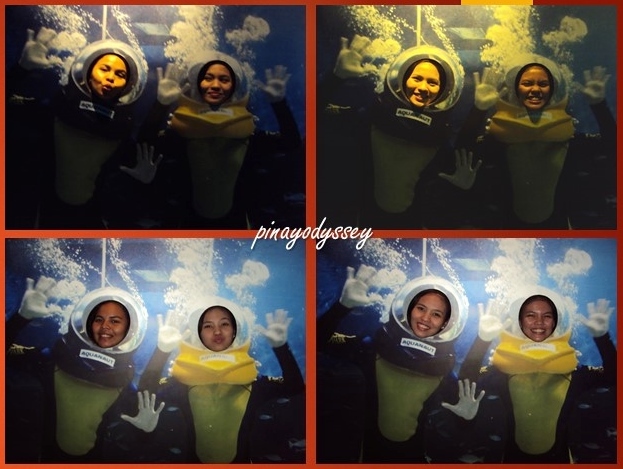 I have been to Den Blå Planet in Copenhagen, and I can say that it is more or less comparable to Manila Ocean Park. The difference is Copenhagen’s aquarium is focused on the aquarium, whereas Manila Ocean Park offers a variety of attractions like the Oceanarium, Sharks and Rays Encounter, Trails to Antarctica, Jellies Exhibit, Fish spa, All Star Birdshow, Birds of Prey Kingdom, Penguin Talk Show, among others. 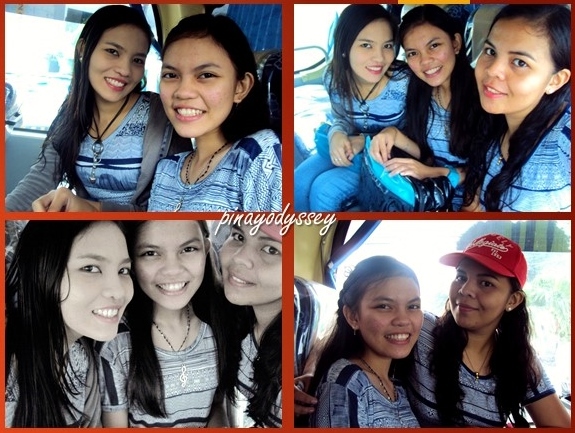 It was a special day, so my sisters and I decided to wear the same t-shirt pattern. 😀 Entrance fee can vary, depending on the attractions you want to see. Tip: The park often offers promo combos, so take advantage of them instead of seeing just one or two attractions. 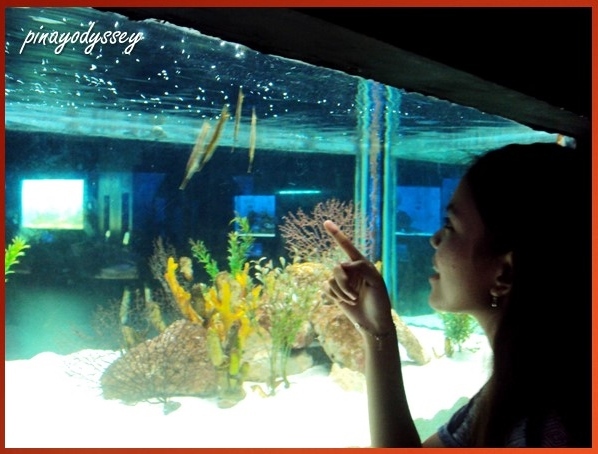 “The Oceanarium is home to 5,000 marine creatures from around 250 species, all indigenous to the Philippines and Southeast Asia. 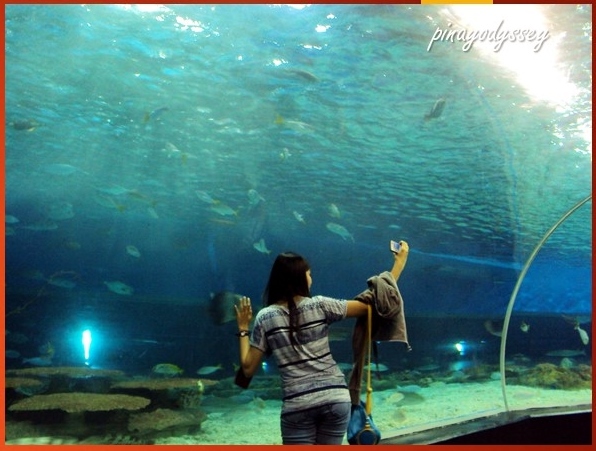 Its sheer size and diversity makes it one of the world’s best public aquariums. The Oceanarium is a stunning walkthrough of the watery depths featuring seven sections and containing 8,000 cubic meters of seawater. 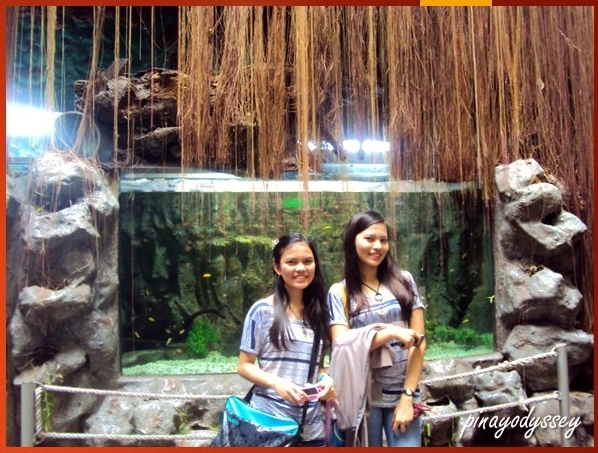 The water source for the Oceanarium is filtered water from Manila Bay. A special process is done to ensure that the seawater is suitable to marine life. I don’t understand why it sounds like a huge, huge aquarium. 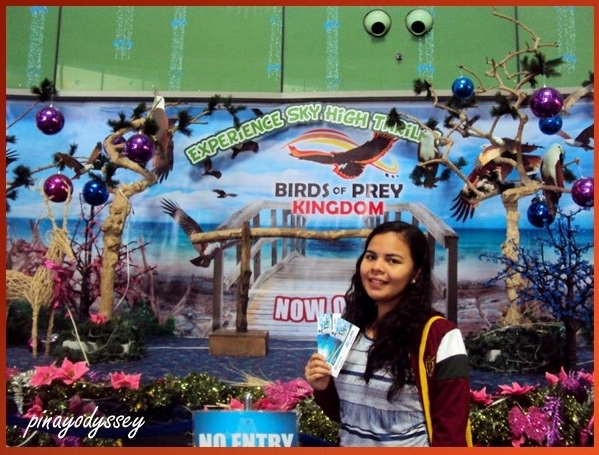 hahaha Anyway, it’s the last day of December but Christmas was still in the air when we visited the place. 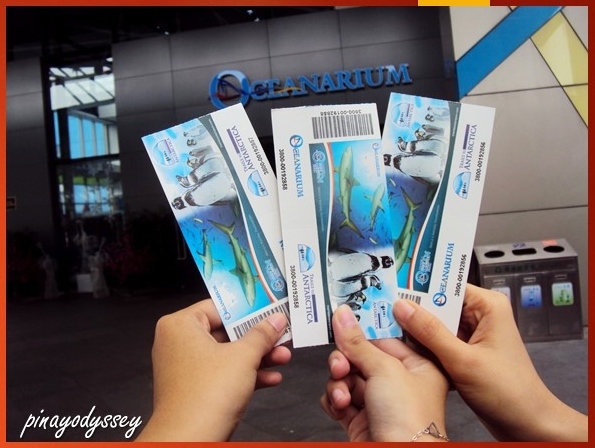 As mentioned in the description above, the Oceanarium is also an educational facility. It shows not only the beauty of the ocean, but also the bad effects of some human activities, how it ruins the seas, etc. It’s really sad to see a sample section of Manila Bay’s waters. 😦 It’s now impossible to completely enjoy being an aquanaut there. 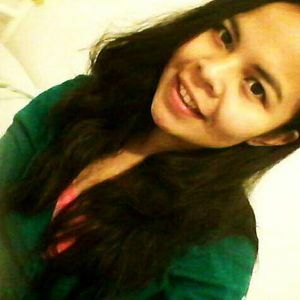 So we see the importance of educating the young ones and to advise them not to make the same mistakes our ancestors, and maybe the present generations, have done or have been doing. There are many seas and oceans still clean and ready to be explored, so hopefully we will learn to acknowledge their presence and take care of them. 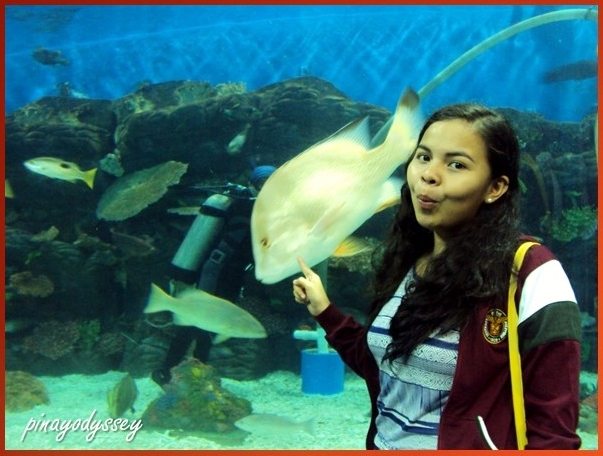 I’m sharing the park’s website: Manila Ocean Park, and I’m ending this entry for now. Up next, Part 2 of our adventure in the marine park featuring Trails to Antarctica! Brr… 😀 Vi ses!